We loved our stay here. 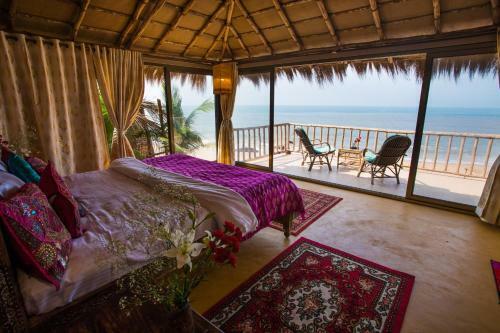 The property has extremely comfortable rooms in the most stunning of settings, with elevated views over the gorgeous beach. It was great to have the option of swimming in the sea or the freshwater lagoon, both clean and very inviting. The staff here are fantastic, friendly and welcoming and the whole atmosphere is very laid back and relaxing. Excellent, freshly cooked food as well. Many thanks for a magical stay! 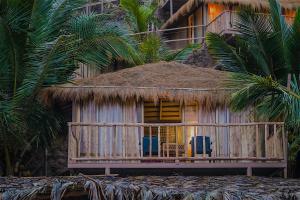 Secluded private beach with minimal units makes for a low key relaxed atmosphere. This is a special place. It is a bit hidden and right next to the beach. Once you are there you feel like in paradise. Owner and staff are very friendly and helpful. Incredible location, great food, lovely chilled vibe. Hidden treasure indeed. Quiet, peaceful, beautiful place with amazing beach and lovely views. The homemade food is delicious and the hosts really made us feel welcome. Can't wait to come back. Exceptionally beautiful location with breathtaking views from your balcony. The food was excellent and I had Indian guests who rated it as such. BUT what really makes it an amazing property is the wonderful staff that cannot do enough to make you feel at home. Just superb. Beautiful rooms with magical views, peaceful, wonderful staff and amazing food. Excellent location and very friendly staff!! The food was exceptional!! The place is wonderful! It’s calm not too many tourists ! Beach is clean ! Food is georgous! Stuff is really nice and helpful ! 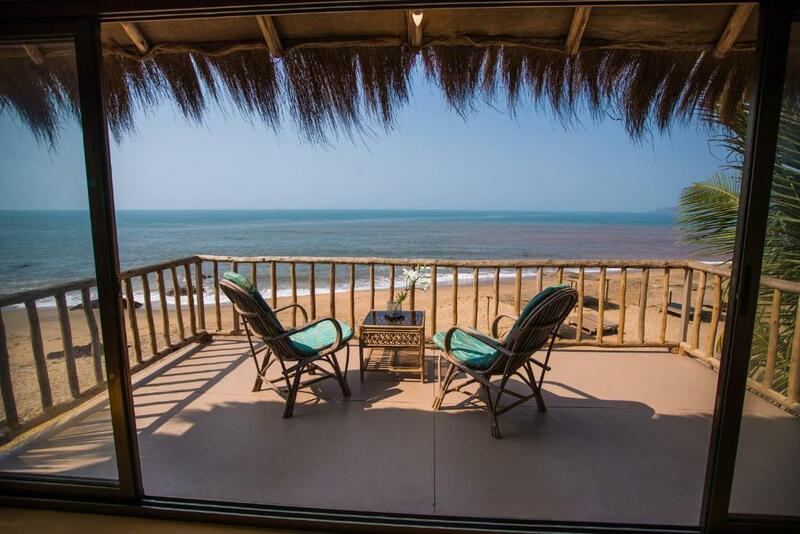 Lock in a great price for Dwarka Eco Beach Resort – rated 9 by recent guests! Located just 9 miles from Cabo De Rama Fort, Dwarka Eco Beach Resort provides accommodations in Cola with a private beach area, a bar, as well as a 24-hour front desk. Guests can enjoy free WiFi. This vacation home comes with a bathroom with a shower and free toiletries. 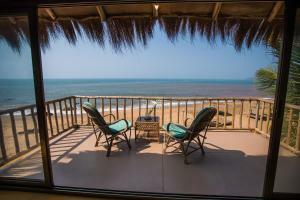 The nearest airport is Dabolim Airport, 44 miles from the property. 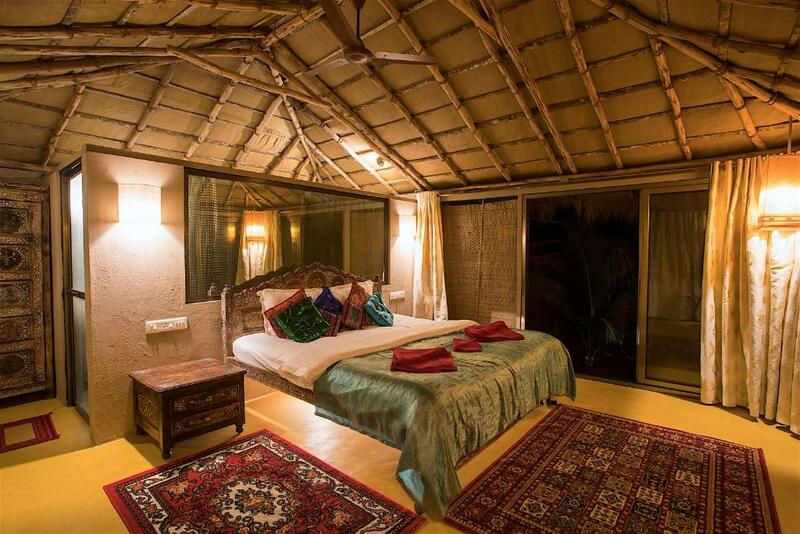 When would you like to stay at Dwarka Eco Beach Resort? 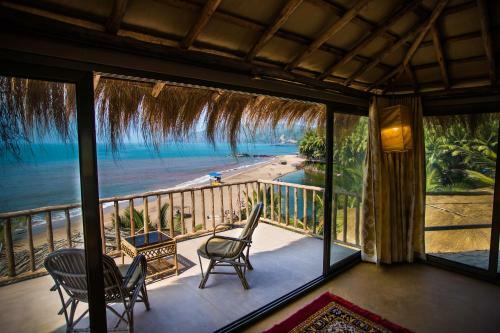 We are a very private boutique 10 cottage beach and Lagoon touching property with most rooms having 180 degree sea views and lagoon views with large balconies and modern bath/ toilet attached..Dwarka is a special place as it is situated right on a secluded beach as well as a fresh water lagoon. We assure you of complete peace of mind at Dwarka as we do not entertain anyone and everyone. we have a trained resident Ayurvedic masseur who is an expert in treatments and massage! Our RATES INCLUDE BREAKFAST LUNCH AND DINNER !!!!!! the Buffet food is served in our private restaurant on the beach ! we have beach barbecues included in our cost as well..we serve FRESH , UNREFRIGIRATED FOOD AND COOK FRESH EVERY MEAL.We have fresh sea food, Salads, Chicken, vegetarian etc etc . We are unlike other resorts as we have just 10 cottages and therefore we can specialise in personalised guest service and complete stress free and soulful experience. COME TO DWARKA....we assure you that you will want to return like our other repeat guests ! Our Room Prices are inclusive of Breakfast Lunch and Dinner. As Goa has a big coast line we too have beaches nearby which can be visited by hiring a scooter or a car..there is a beautiful jungle behind us through which we organise free treks which ends up in a old temple where we offer you a traditional breakfast prepared by the local Priest !! there are museums, churches, night markets, spice farms, waterfalls, wild life sanctuary etc all which can be done on day trip which can be organised by us..
House Rules Dwarka Eco Beach Resort takes special requests – add in the next step! Dwarka Eco Beach Resort accepts these cards and reserves the right to temporarily hold an amount prior to arrival. Please inform Dwarka Eco Beach Resort of your expected arrival time in advance. You can use the Special Requests box when booking, or contact the property directly using the contact details in your confirmation. Staff was very friendly and helpful. Food was very nice, special requests get considered. The room was very clean and cozy, additional bed was provided. The location is beautiful, Cola beach is an insider tip, it is quite secluded, but nobody is bothering you. Very special is the sweet water lagoon, good for swimming and paddling or just relaxing. And no mosquito! Location very beautiful and restful. Accommodation was clean and well presented. Own balcony overlooking the beach was wonderful. Food was included in the price but basic . Two sides of our sea view room was just a wicker type partition panel so you could hear a lot going on , even the folks in the room next to us ask us if we could turn our music down & it wasn’t really that loud but of course we did . 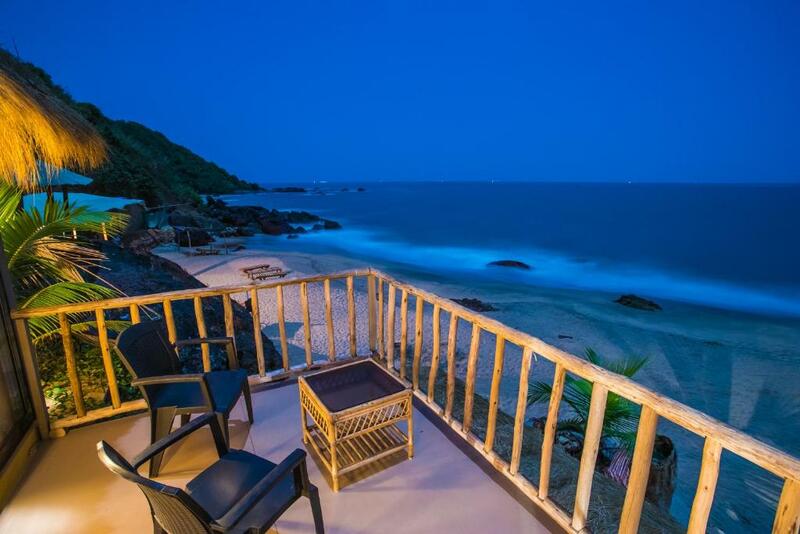 It sits on one of the best beaches we see in Goa . The bathroom should have a window. There is no circulation. Great balcony view. The best was super nice and relaxing. The food was also quite tasty. Having to leave!!! We were so upset to go!